Styled to look like a salt and pepper shaker, Milly™ turns the conventional salt and pepper mill on its head – literally. To use, simply invert the unit and twist the base to grind. 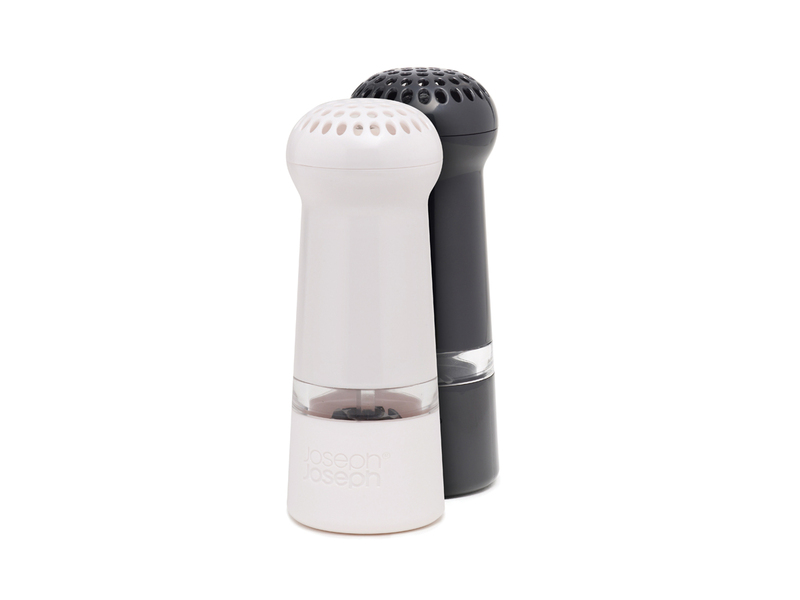 The extra-large holes in the cap allow the grounds to fall out and, when the unit is placed down, the cap helps capture and contain any excess salt or pepper. A clear acrylic window in the body means you can see exactly what the contents are and when they are running low, and the unit is easy to fill and clean. Its tough, ceramic mechanism is fully adjustable to grind from fine to coarse grain.